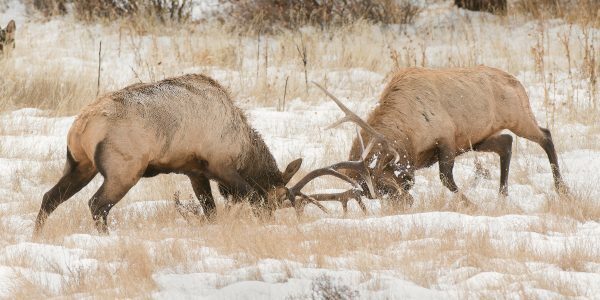 On a late afternoon I came across an area where multiple Rocky Mountain Bull Elk had their harems in the same vicinity. The bulls were very active, bugling at each other and ready for a challenge if need be. These two ended up in a very intense battle that lasted several minutes. In the end result they both walked away winners as they returned to their own harems.